Dual Beam Magnetic Sensor, with Digimesh RF 900MHz communications for low power and long range (LP-WAN) connectivity. 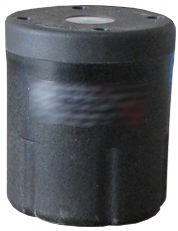 Used in vehicle detection systems. Communications utilising Digi’s 2.4GHz Digimesh topology - easily paired with a Gateway or similar modules. Low power consumption - long battery life (Lithium batteries up to 6+ years). Low capex and opex - no annual maintenance.